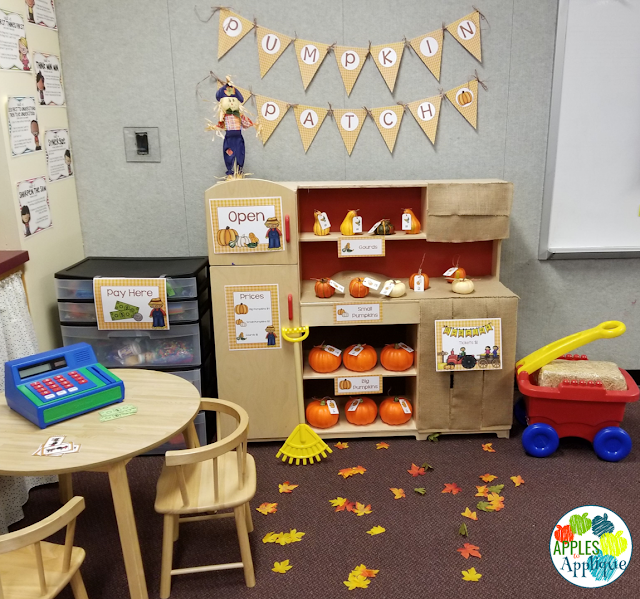 So, I thought my Pumpkin Patch Dramatic Play Center was my absolute favorite ever...until I created this. 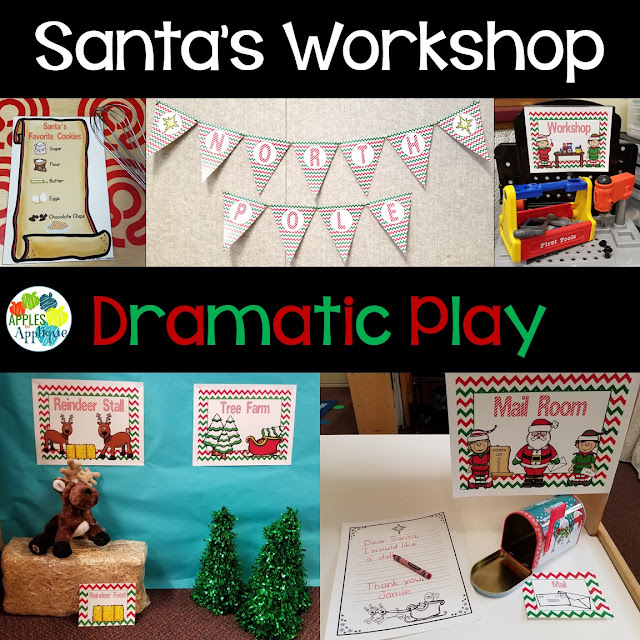 A North Pole Dramatic Play Center! 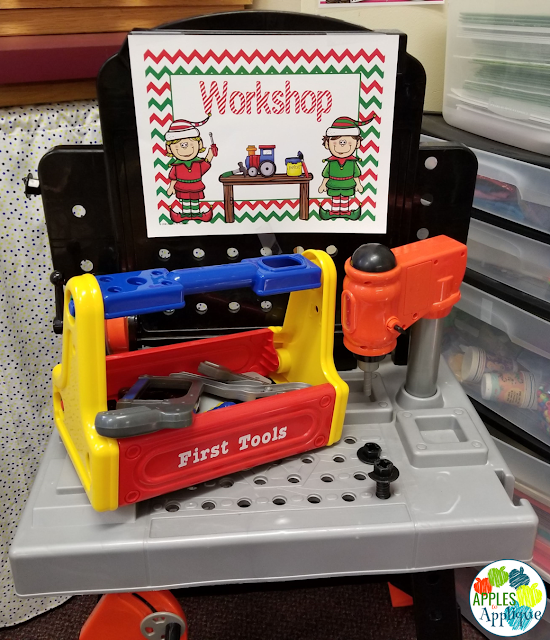 After all, what is more magical to a child than Santa's Workshop at the North Pole? ...as well as the reindeer stall and tree farm. Bits of realia added in make it all come alive! 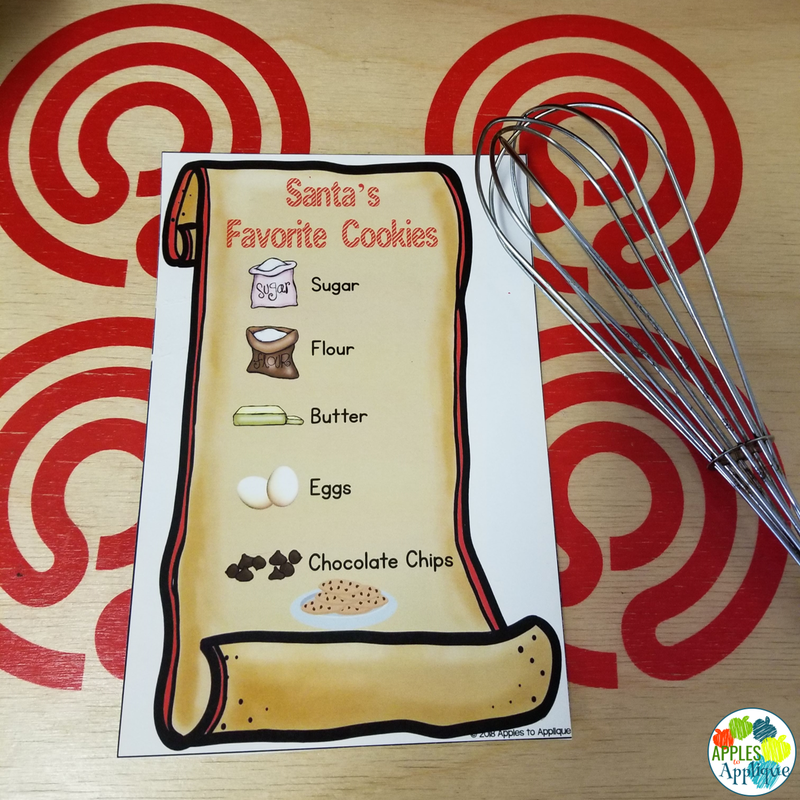 ...and you can't bake cookies without Santa's favorite cookie recipe! 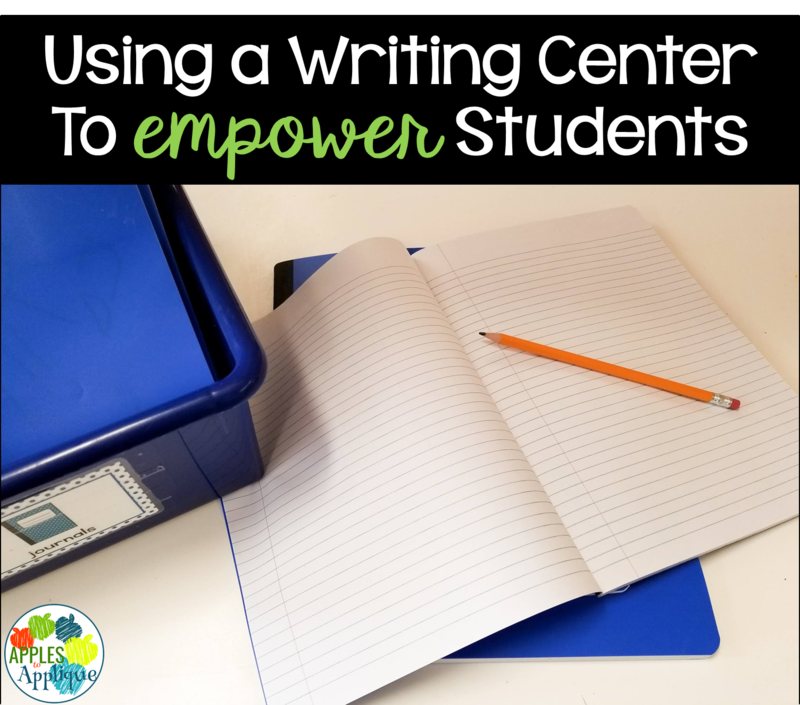 On top of all this great print awareness, there are also opportunities for writing included! There are gift tags and gift order forms, and even a letter to Santa template. 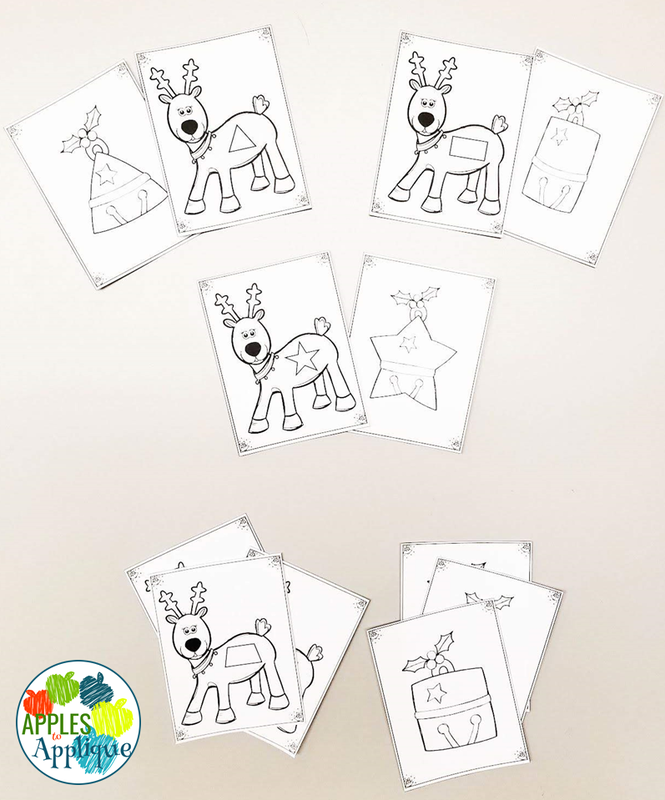 Download the letter to Santa template for FREE! 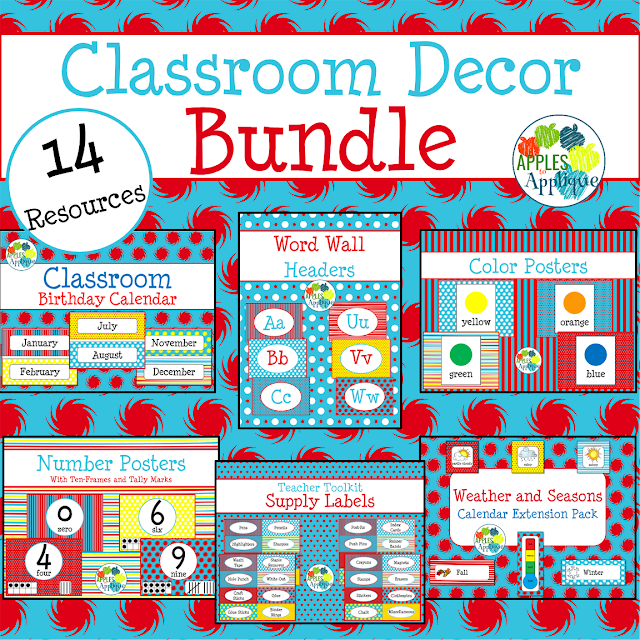 To see everything that is included in this center, check it out here in my TPT store! 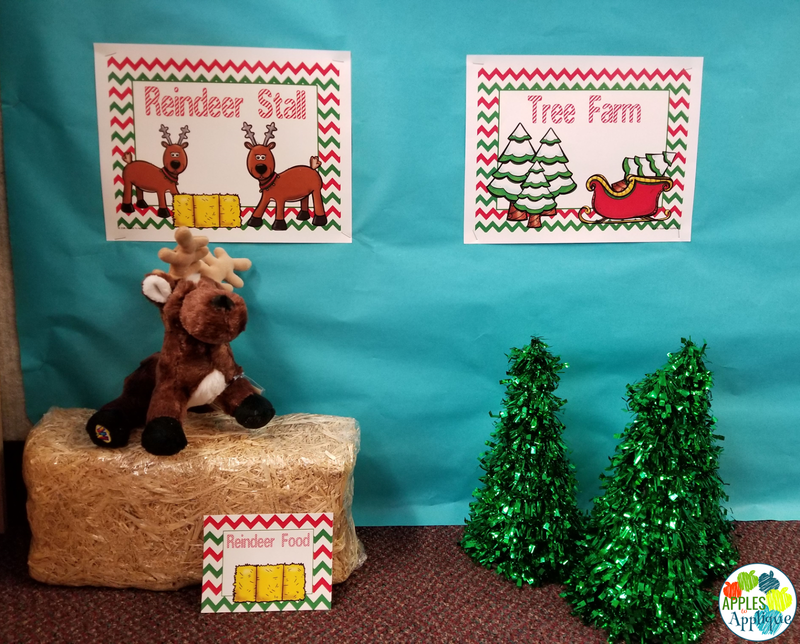 I hope your students love it, and that you all have a wonderful holiday season! 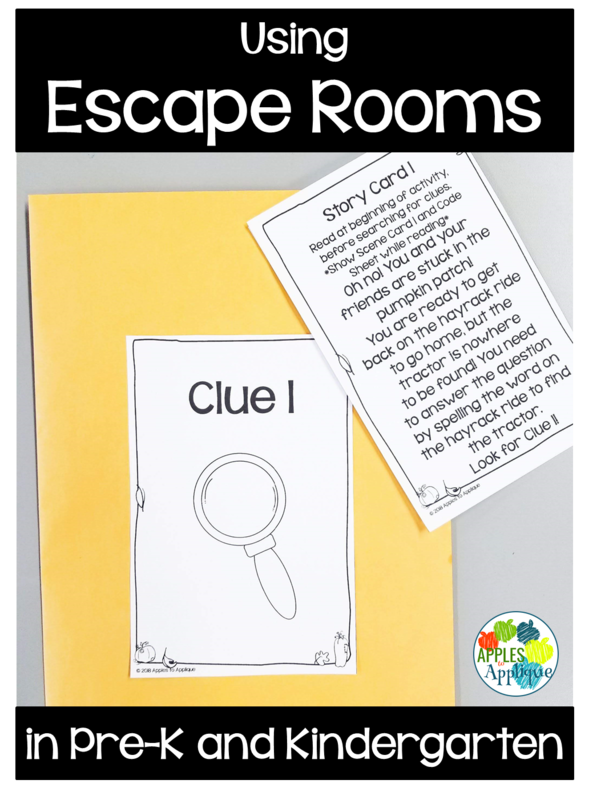 Escape rooms and breakout activities are all the rage right now! And for good reason; they encourage movement, collaboration, and problem solving. 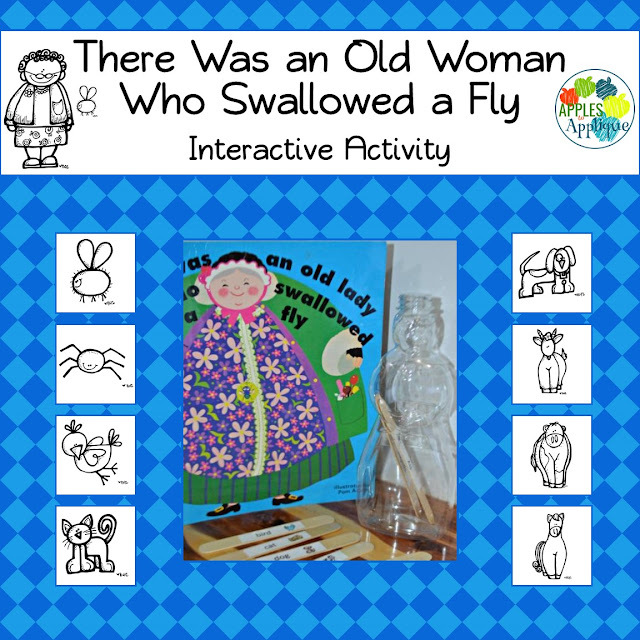 These activities tend to be geared toward older kids, but what if I told you they are awesome to use with younger students, as well? 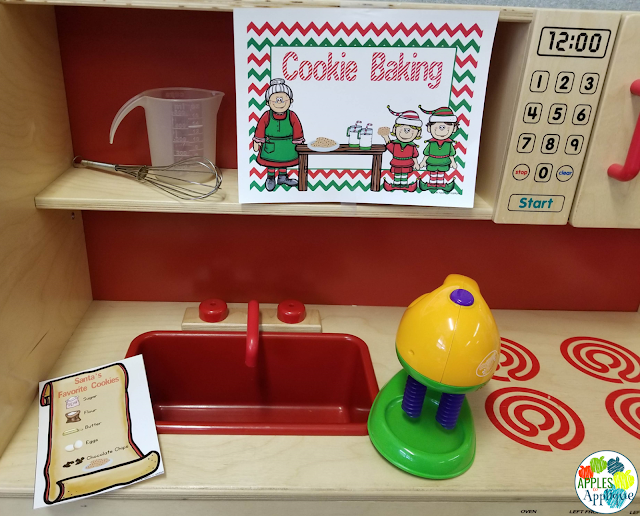 I've taken the concept of an escape room and simplified it to make it appropriate for Pre-K and kindergarten students. Each game has options for playing as a whole group, small group, or even individually. 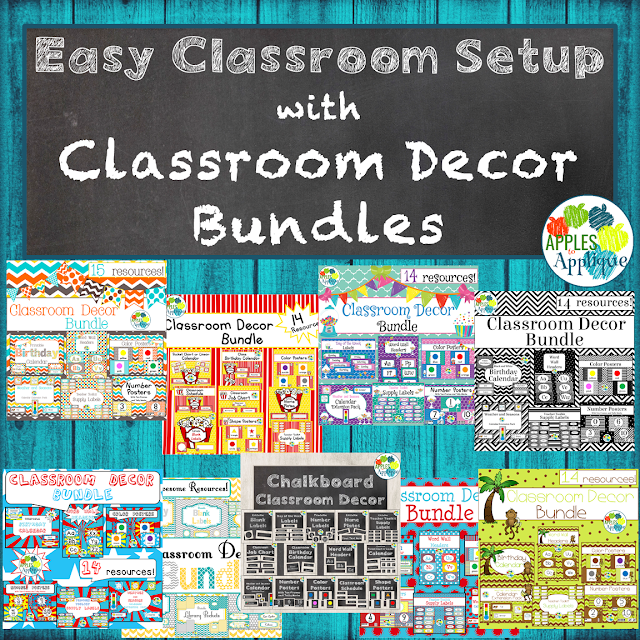 Depending on the activity, I also offer options for differentiating as needed. 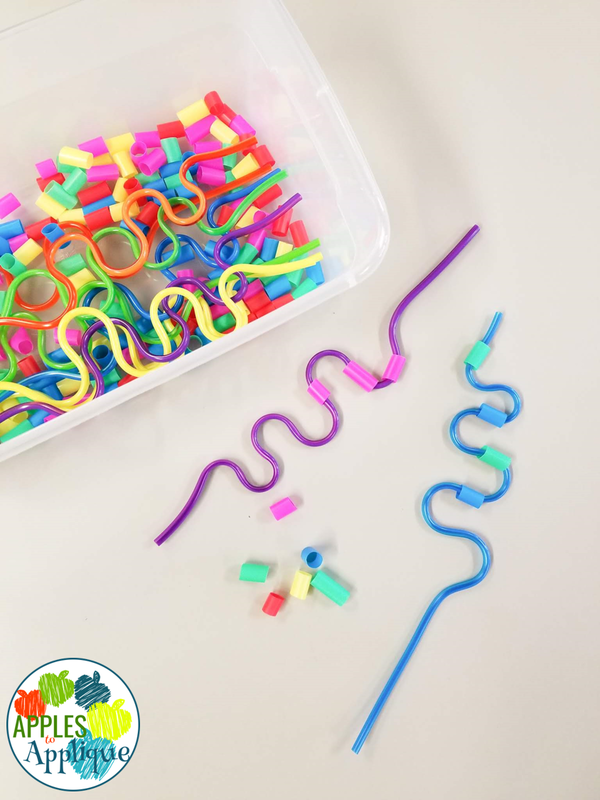 I made them flexible enough that you can play them in one session, or over several days, depending on the amount of time you have and on the attention span of your students. 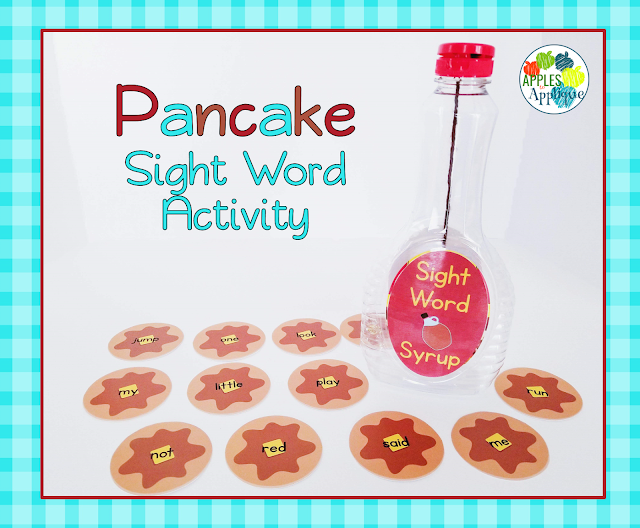 Each game has a story line to follow, so kids can really engage with the activity and activate their imaginations. 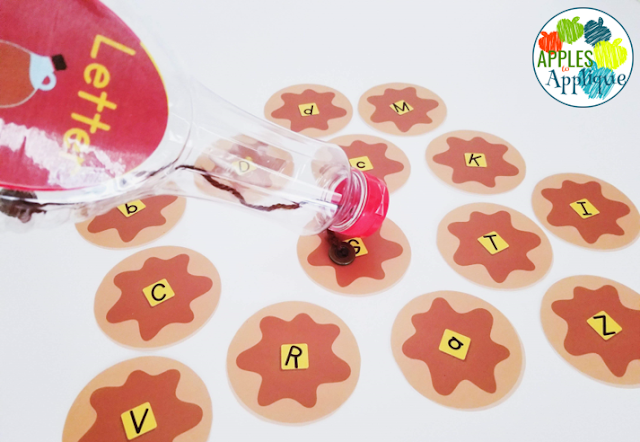 I chose a specific skill to target with each game, making this is a great way to give kids a chance to practice and demonstrate understanding of a certain skill. 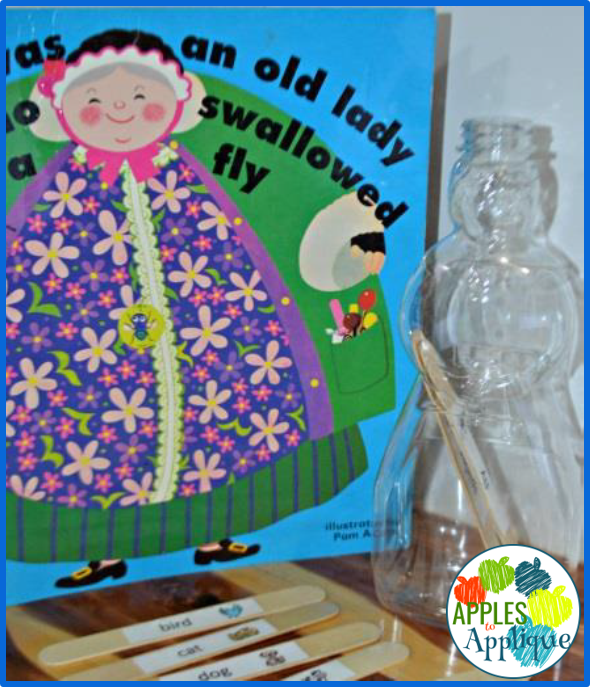 Escape the Apple Cider Stand focuses on matching numbers to quantities. 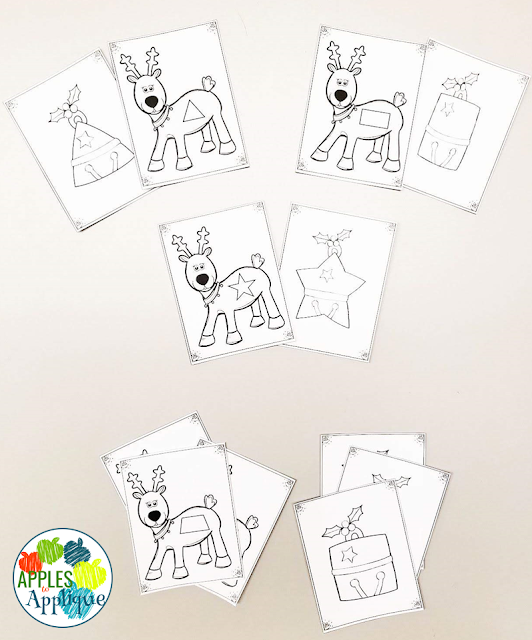 There are four activities: matching cards with pictures of apples to apple crates with numbers, writing numbers of objects in a ten frame (options for writing and tracing included, depending on the level of your learners), filling ten frames to match numbers, and a "write the room" activity to match the number of objects in each picture to the correct numeral. 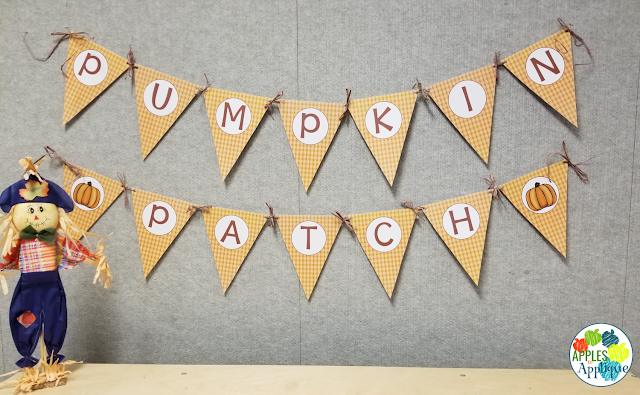 Escape the Pumpkin Patch focuses on rhyming. 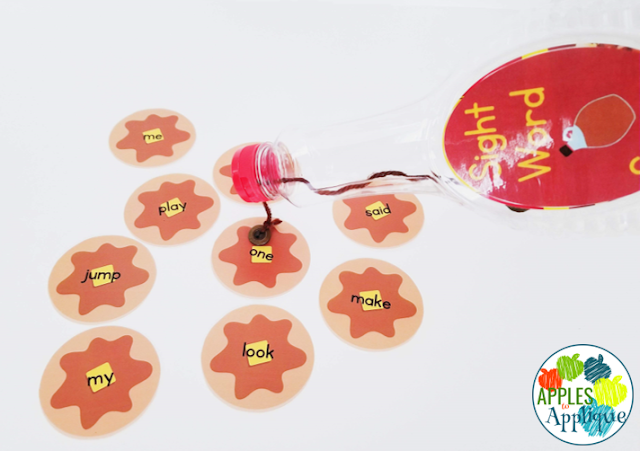 There are four activities or puzzles for students to solve: matching rhyming pictures, generating rhymes, finding objects that rhyme, and a rhyming "write the room" activity. Escape Room: Thanksgiving! works on sequencing. The story is about preparations for Thanksgiving dinner, and the activities focus on ordinal numbers and putting steps in order, which is great for building listening comprehension skills. The activities are cut and paste sequencing, putting step cards in order, pocket chart sequencing activity, and a "write the room" activity. Escape the North Pole may be my favorite one yet! 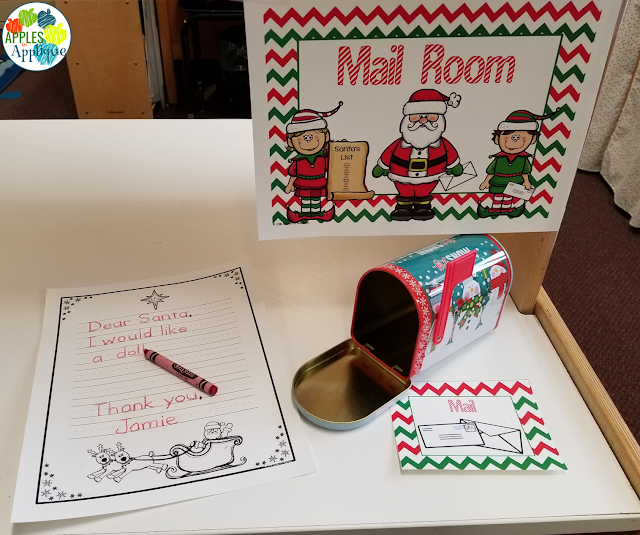 What 4- or 5-year-old kid wouldn't love to be part of a story about helping Santa get ready for Christmas? This escape room focuses on shapes. The four activities are identifying and coloring by shape, drawing shapes (includes an option for tracing for kiddos who need it), matching shapes, and a shape "write the room" activity focusing on shape attributes (with an option for differentiation included). 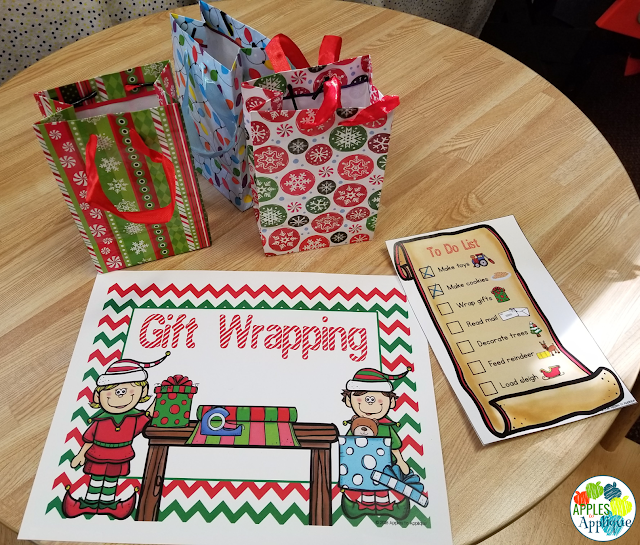 These activities are so much fun, and I really tried to make them as simple as possible for you, with no special locks or boxes required. All you provide are some manila envelopes to hide the clues and puzzles in. And of course, each one includes clear setup instructions. More great escape rooms are in the works! 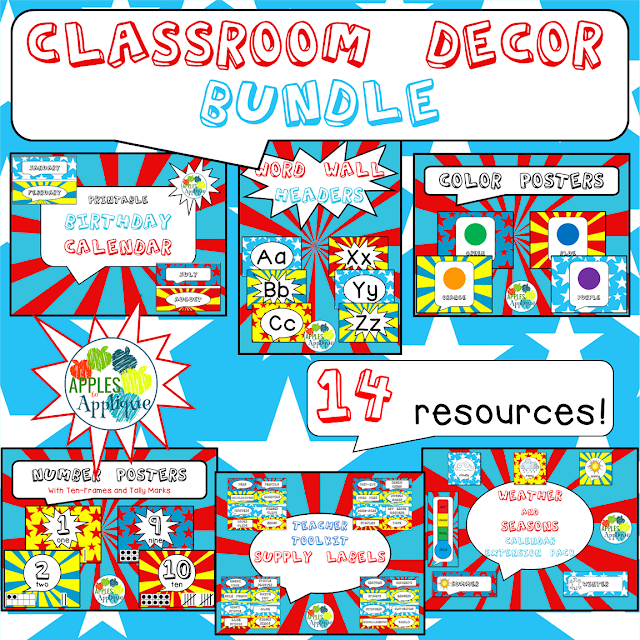 Check out my growing bundle to get the 4 listed here, plus 8 future breakout activities, for one low price! The price will go up each month as a new escape room is added, so buy early to save the most money! 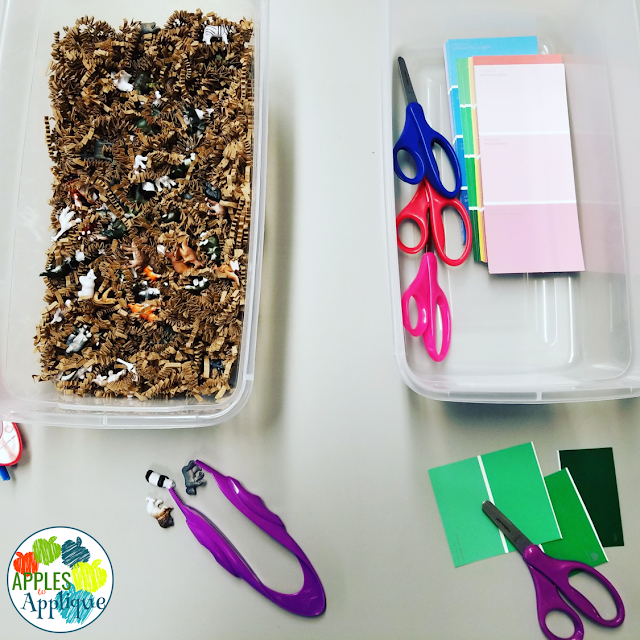 I hope you enjoy trying out these activities with your students; I would love to hear how it goes in your classroom! A whole corner of my room has been turned into a pumpkin patch, and it's my favorite thing! I even stayed late after school on a Friday to get it ready, and it was worth it! First there is this cute pennant banner. You could use yarn or something to tie it together, but I happened to have some raffia in my classroom already, and the end result is too perfect! 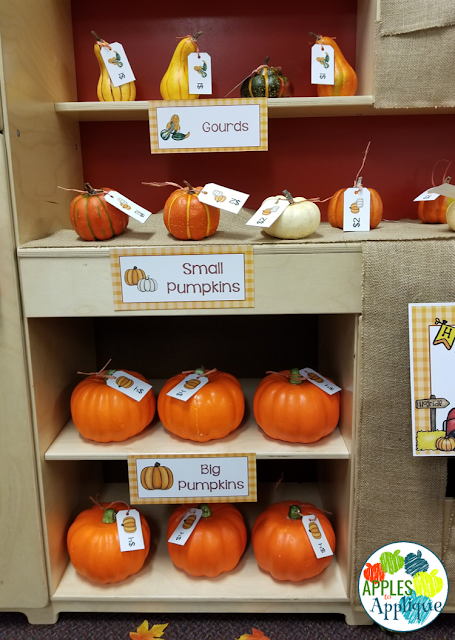 I found large pumpkins at the Dollar Tree, and small pumpkins and gourds at Walmart. I made signs for each type so that students could work on their sorting skills. 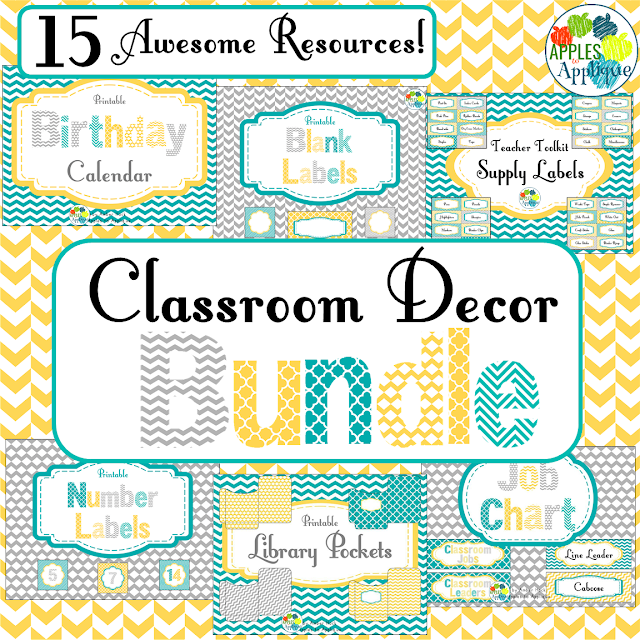 I also made price tags and a pricing sheet to encourage numeral recognition. 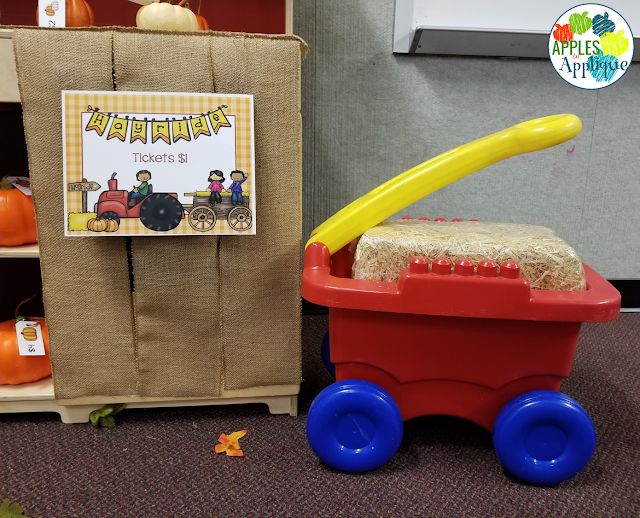 I know, you're probably thinking I'm crazy for including a hayride, and I may rethink this decision after the kids have had a chance to use it, but it was such a good way to incorporate gross motor skills. The wagon is from a set of Mega Blocks, so I just set a hay bale down inside. I left the hay bale wrapped in the cellophane from the store to contain the mess! Obviously the kids won't actually be riding on the hayride, but I may let them put a doll on top and pull it around. Otherwise, I'll tell them to use their imaginations and pretend they are on a hayride. 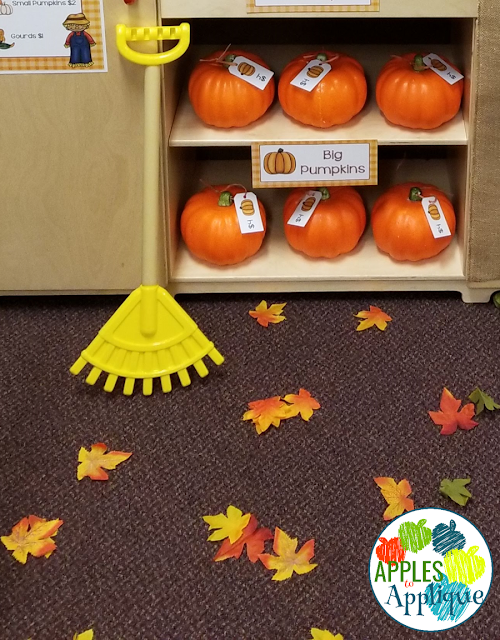 Another way I am adding in gross motor skills is by giving them a toy rake and letting them rake up fake leaves. I have done this in past years, and they love this activity! I cannot wait for my kids to come into school Monday morning and see their pumpkin patch. I'd love to hear your experiences with pumpkin patch dramatic play! You all know I love finding ways to streamline my planning time. It's important for me to have meaningful tasks for my students, and it is just as important that I have time for my family outside of work, so I strive to keep things as simple as possible. 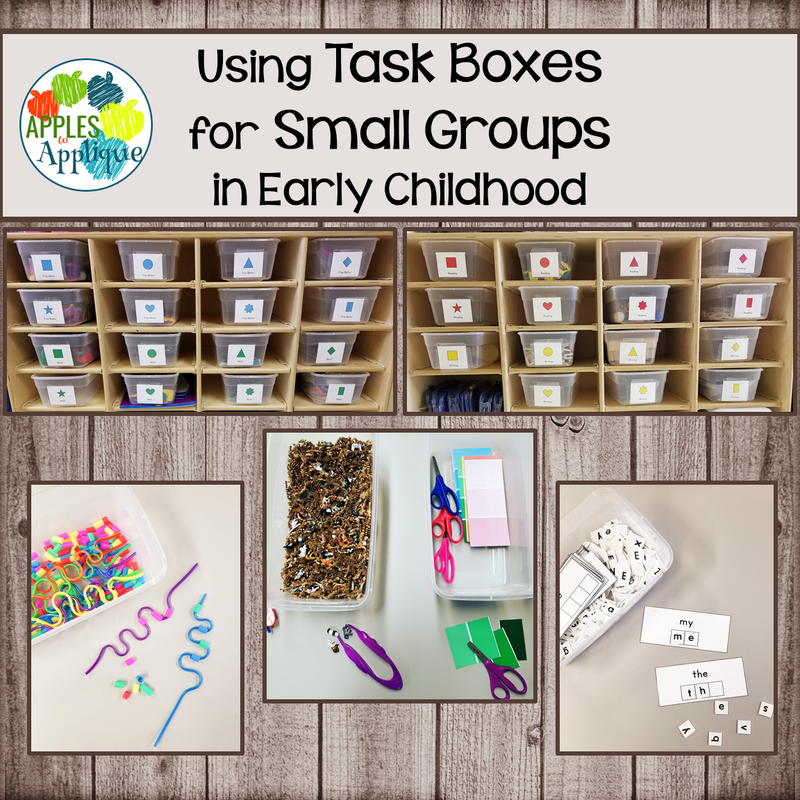 My favorite new thing this year is using task boxes for small groups. They are ready to go, and they have enough variety that I don't have to plan for them the rest of the school year. Yes, you read that right--my small groups are completely planned for the year. Happy dance! Speaking of planning for the year at once, check out this post about morning work for the year, and this post about age-appropriate Pre-K homework for the year. Now, I'll be honest with you, this took a TON of planning time up front. I spent weeks over the summer researching ideas and gathering materials. 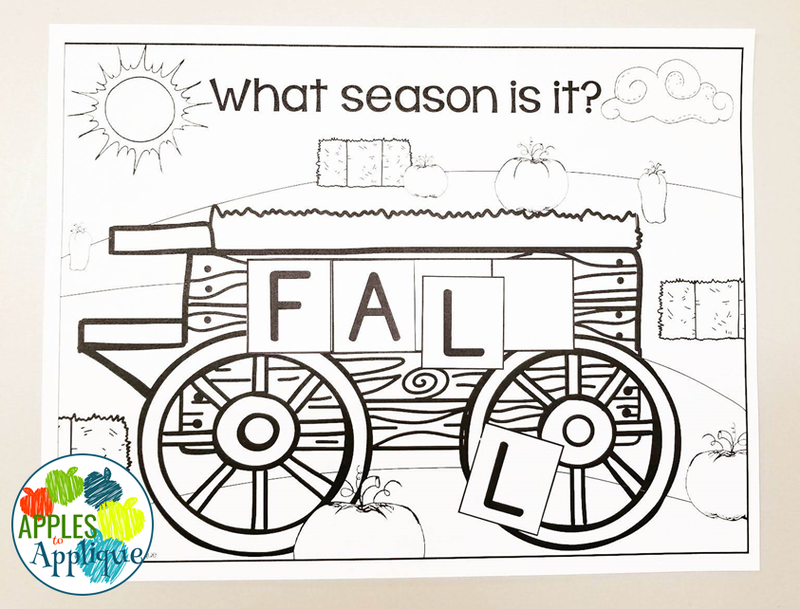 I was 9 months pregnant, so I just pretty much laid around on my couch with my laptop researching and creating task boxes. 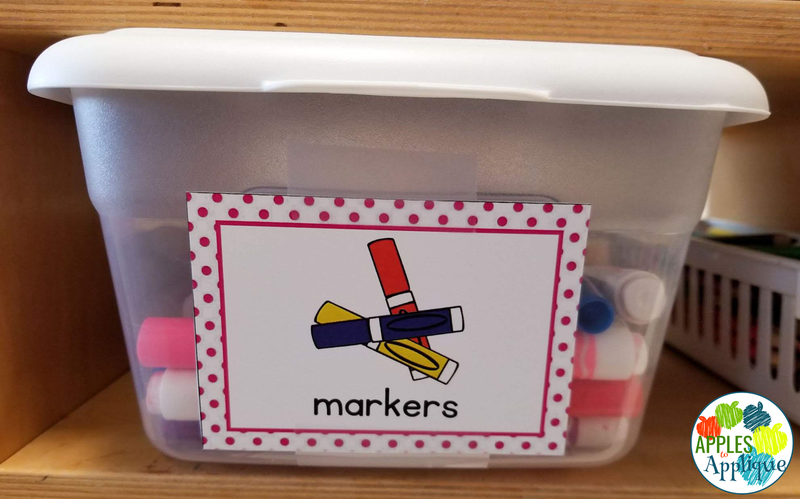 I got the initial idea from a friend and fellow teacher who uses task boxes for IEP goal work in her classroom. She showed me her system and I loved it! 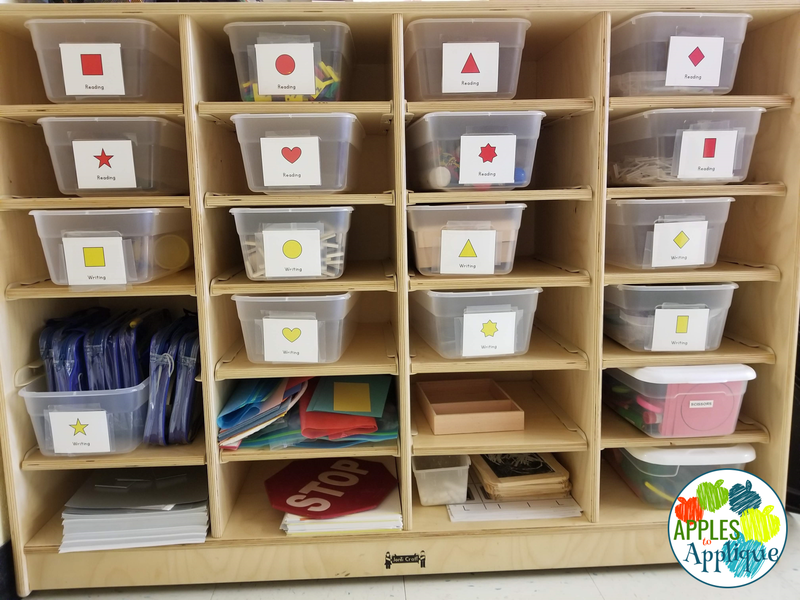 In her classroom, all of her kiddos are on IEPs, so they need individual task boxes. 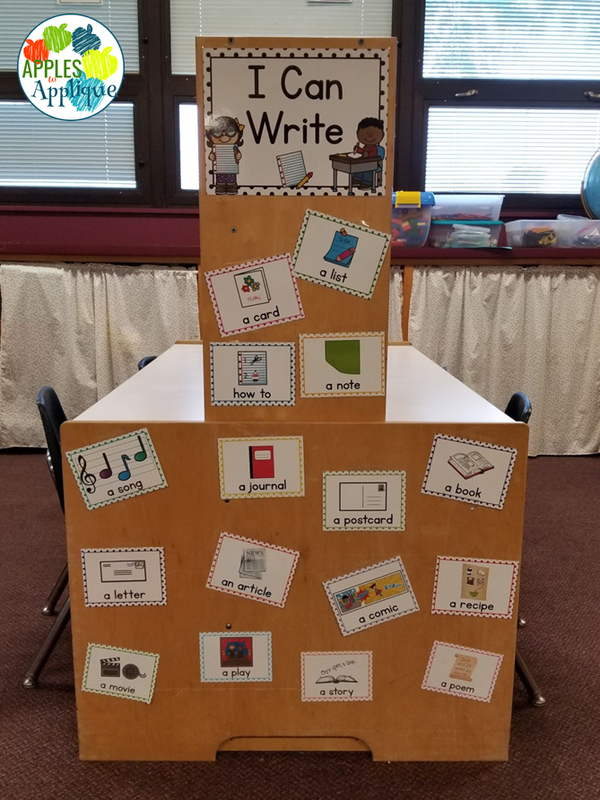 My setup is different; teaching in a Unified classroom, about a quarter of my kids are on IEPs, and the rest are at-risk. I needed activities that 3 or 4 kids could complete at a time while I worked with one group on a teacher-led task. 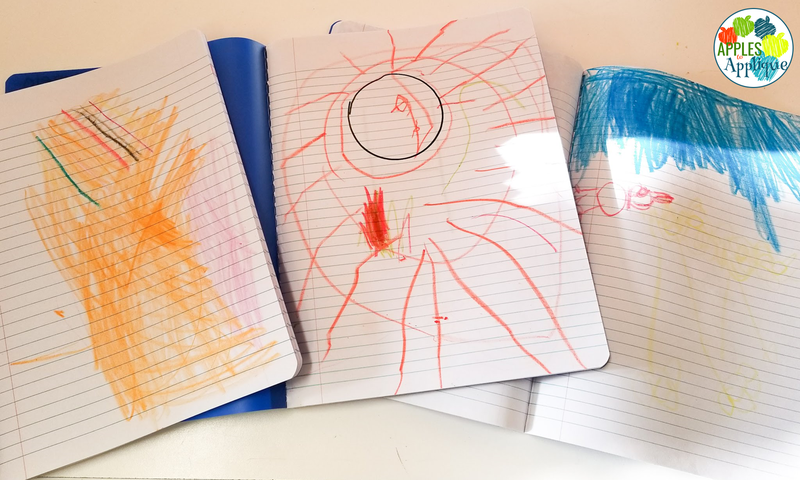 I decided to have 4 types of boxes: Writing, Reading, Math, and Fine Motor. I have 8 activities for each skill type, for a total of 32 boxes. All of the labels for one skill type are the same color. Fine motor boxes have blue labels, math boxes have green, reading boxes have red, and writing boxes have yellow. Then there is a different symbol on each box. 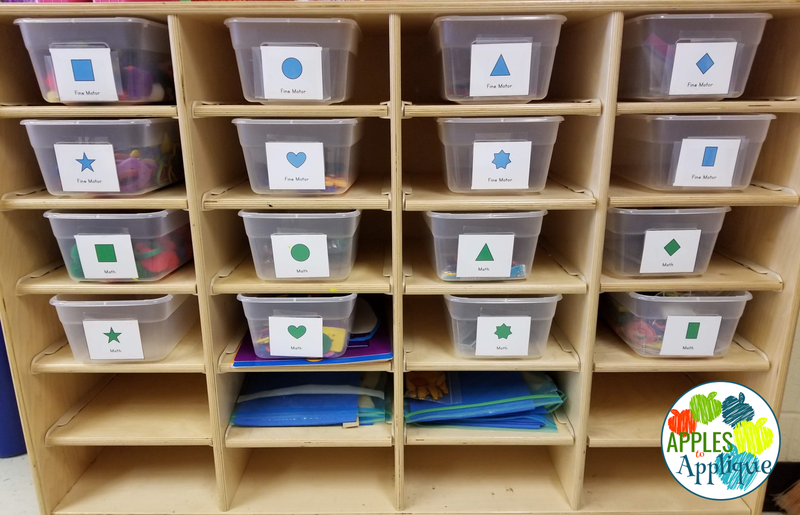 Each week, I pick one symbol—for example, boxes with squares. Each table group does one box each day, rotating so that by the end of the week they have each completed the activities in the square label math box, reading box, writing box, and fine motor box. The fifth group is a teacher-led group, working on whatever tasks I feel like they need to target. This gives me vital small group intervention time while my other students are still working on targeted skills. Since I have 8 of each type of box, it takes 8 weeks to get through all of the task boxes, at which point I start the rotations again. 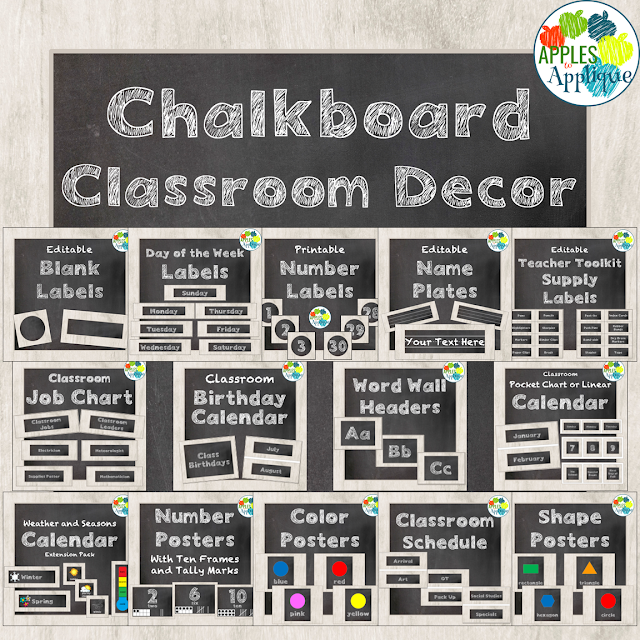 This way, students are only repeating activities every 8 weeks, and I am not scrambling for small group ideas every week. It has worked so smoothly so far! I also have a little cheat sheet with the list of tasks that are in each box. 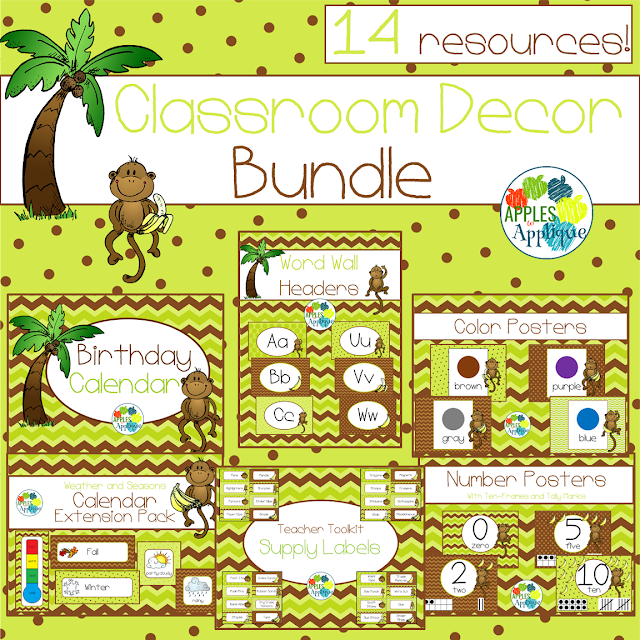 Since this has helped me so much this year, I have decided to make the labels and master list available in my TPT store for FREE! 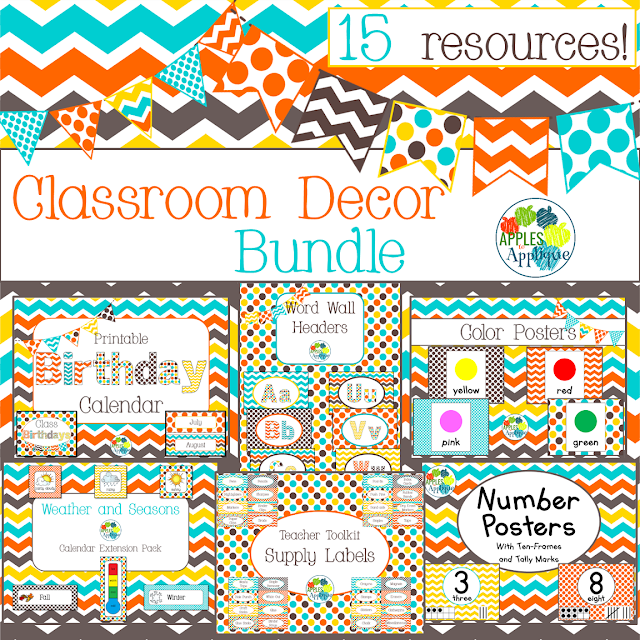 Click here to download it! 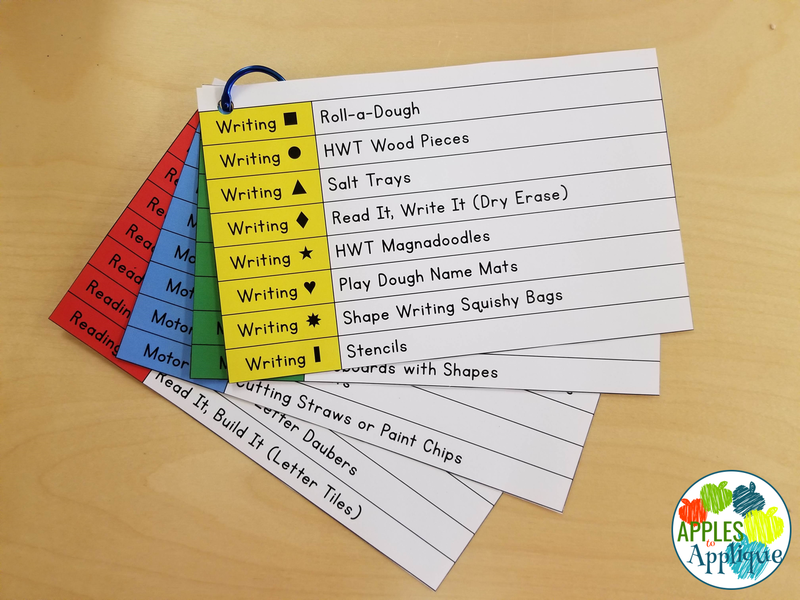 Of course, some of the things on my list are curriculum specific, and others I created myself, so the list may not work for you as-is, but hopefully it will be helpful in generating ideas. The good news, though, is that the file is fully editable so that you can customize it to your needs. Here are some pictures of just a few of the boxes. 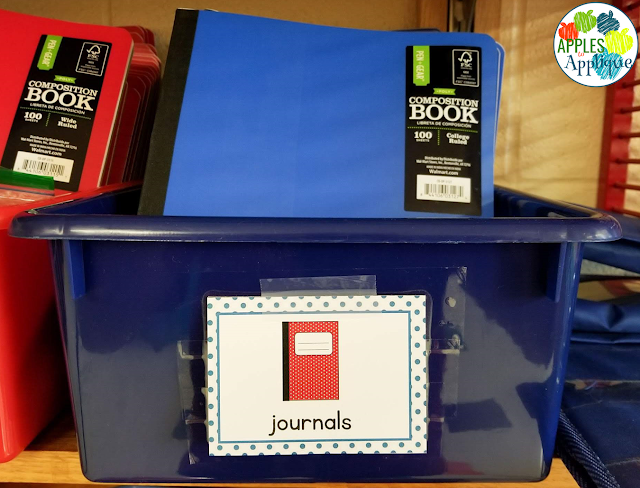 I hope this is helpful, and I would love to hear ideas you have for task boxes, or how you would utilize them in your classroom! 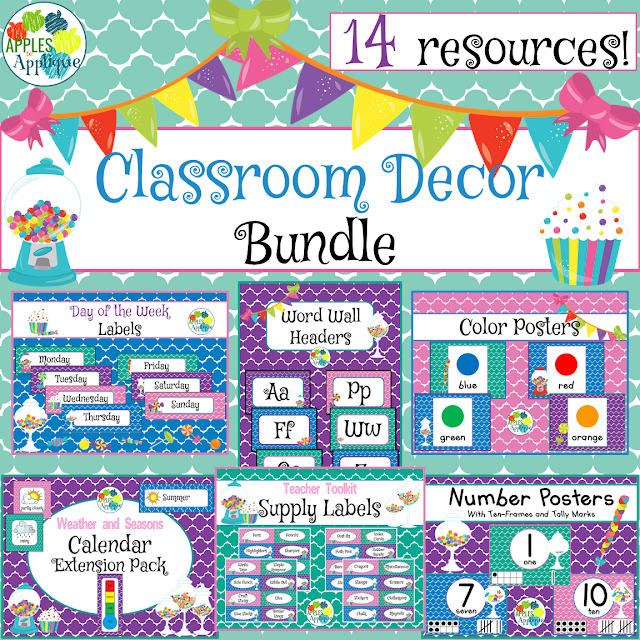 I have been working so hard on this resource since school got out, and I am thrilled to announce that it is finally live! 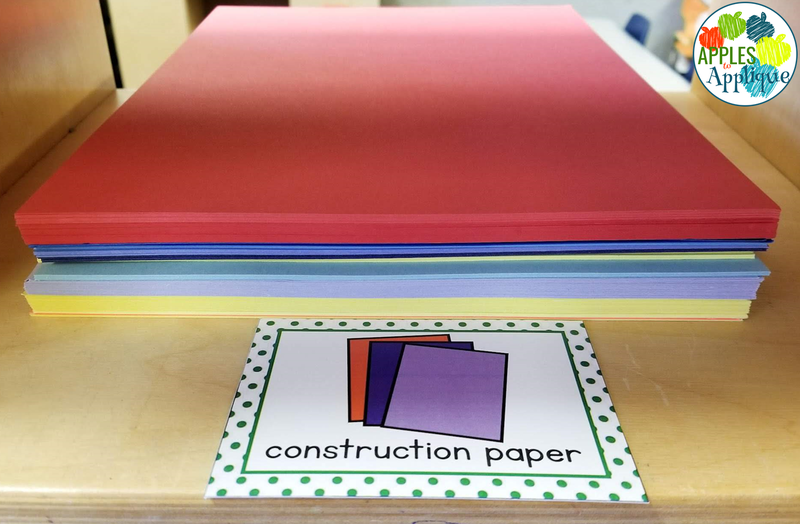 Throughout the school year, I spend way too much planning time finding morning work that covers the skills my students need to practice, finding myself piecing it all together a page or two at a time. 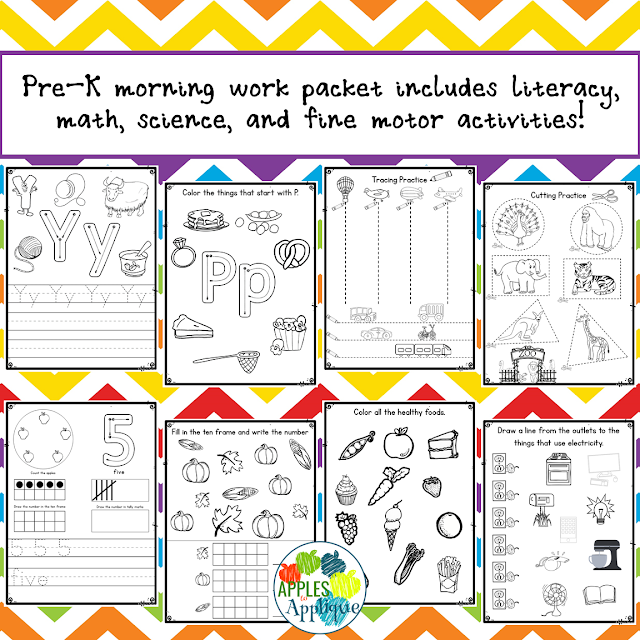 This year, I decided that one of my big summer break projects would be to create an all-inclusive packet of morning work that covers literacy, math, fine-motor, and science skills. I also knew I wanted it to be no-prep and low-mess. 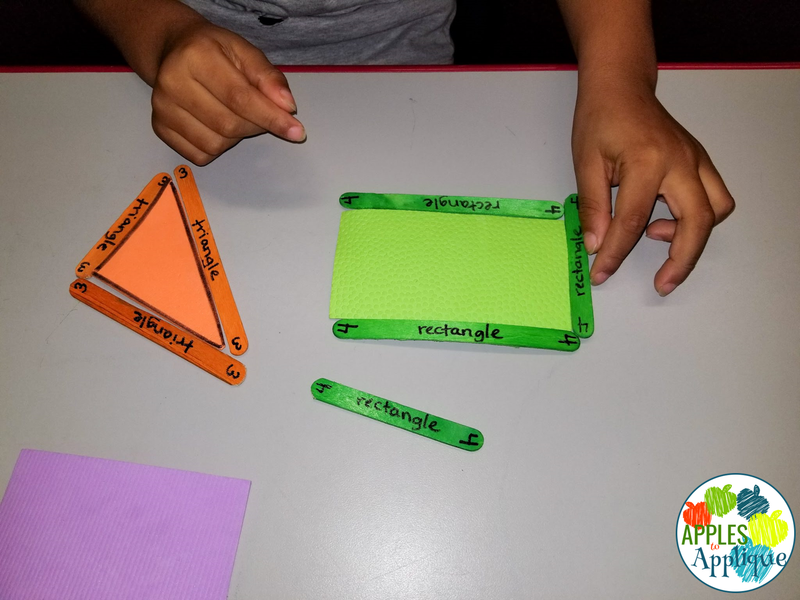 I say "low" mess because there are cutting practice sheets included, where students practice cutting on a line, but there are NO cut-and-paste activities!!! 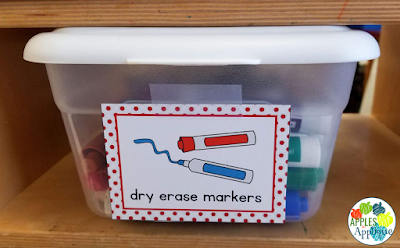 Pre-K kiddos do not need to be messing with glue first thing in the morning, am I right? Somehow they even make huge sticky messes with glue sticks, so I decided to avoid those types of activities all together. 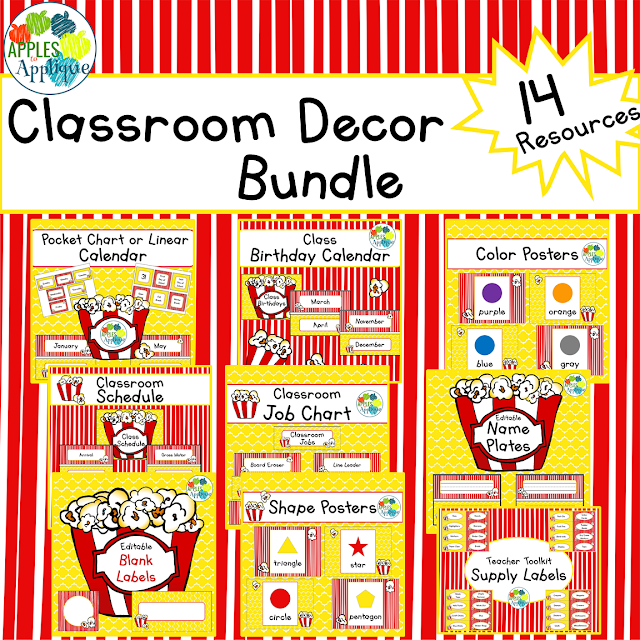 This packet has 200 pages of activities--more than enough to give your students something new every morning! 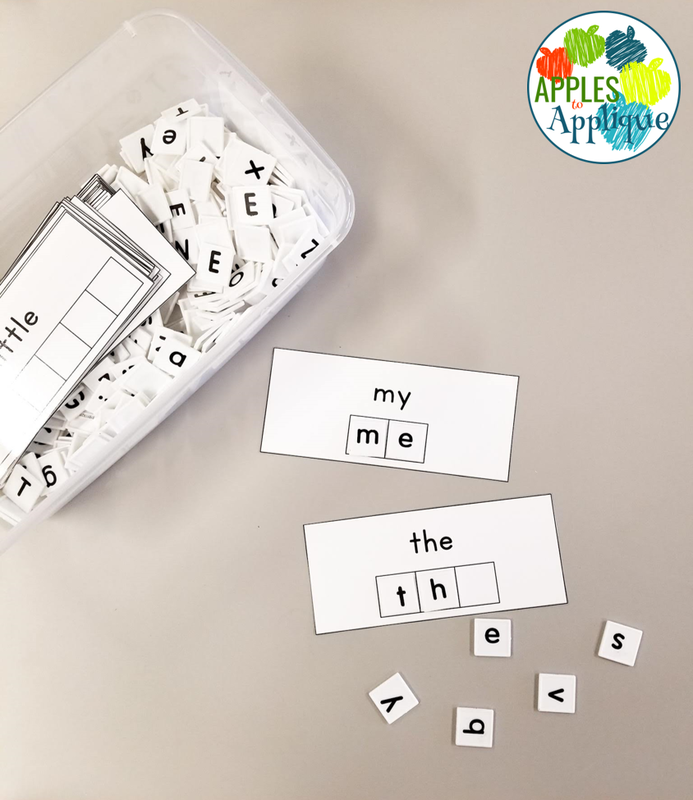 Of course, you can also repeat pages as often as necessary to meet your students' needs. 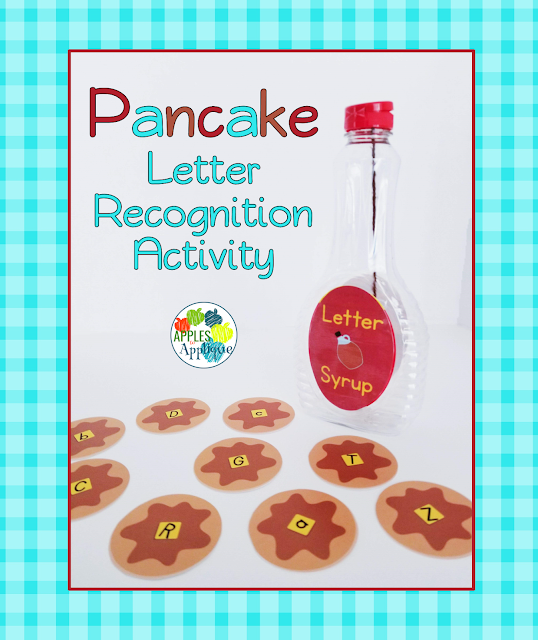 What I am most excited about in this packet are the editable name activities. 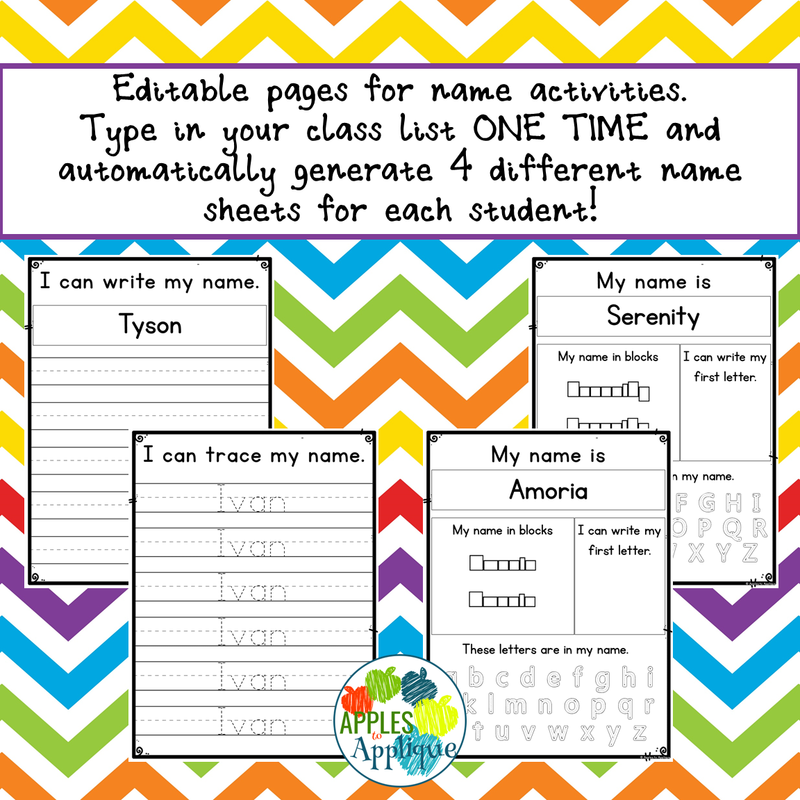 Type in your class list ONE time, and automatically generate 4 different name activity pages for each student--how cool is that?! Such a time-saver, too; I used to type in each kid's name multiple times for tracing practice. 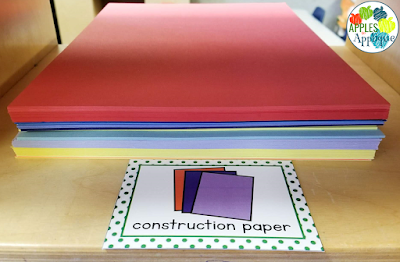 Now it will only take about 5 minutes to have sheets ready for my whole class. 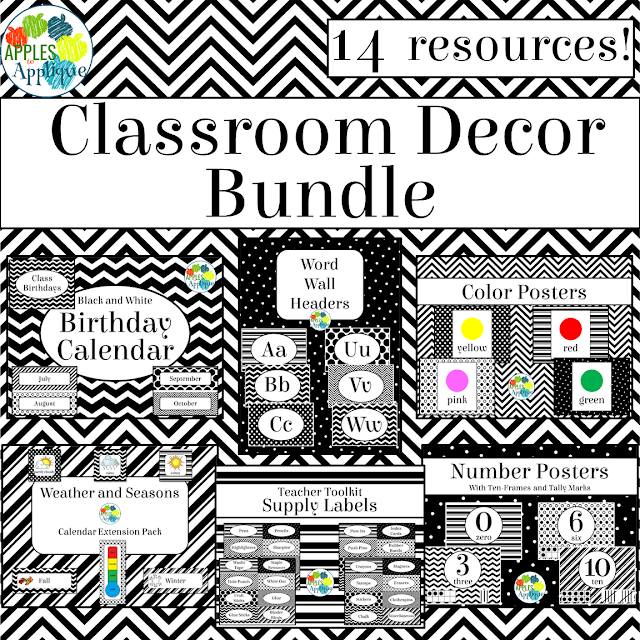 I can't wait to put this to use this fall in my classroom, and I hope you find it useful, too! 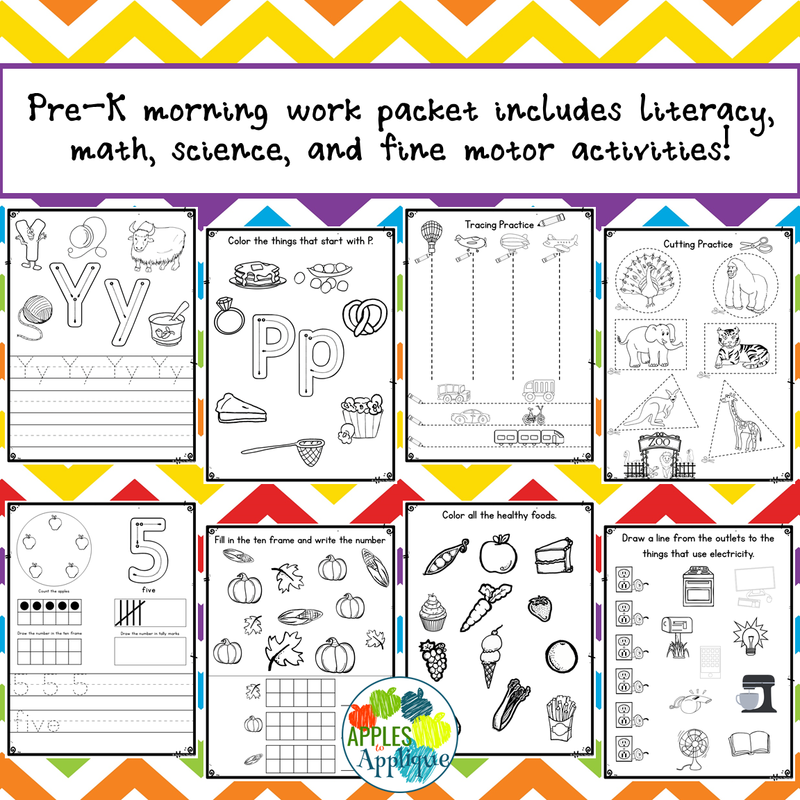 Get your morning work packet here!